THE NEW KING OF COMEDY! Feb. 26 & 27 at 7:30 P.M.
Not since the discoveryof Chaplin has a new screen comedian flashed into such sensational popularity as had Raymond Griffith. See this laughable lad and his already famous high silk hat in his latest scream, "The Night Club." 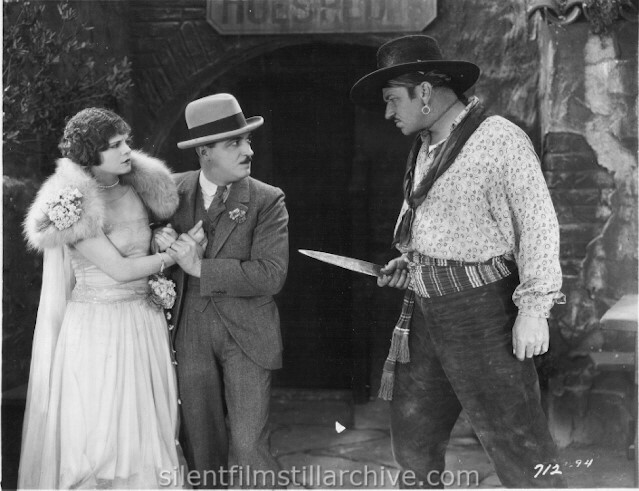 Wallace Beery, Very Reynolds and Louise Fazenda are also in the big comedy cast. Produced by the directors of "Forty Winks" and "Changing Husbands". See the comedy sensation of the season! Roar with Griffith in the funniest picture of 1925 "The Night Club". 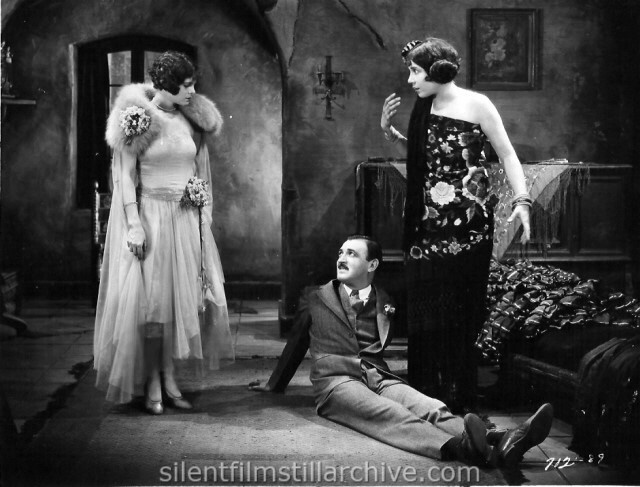 Vera Reynolds, Raymond Griffith, and Louise Fazenda. 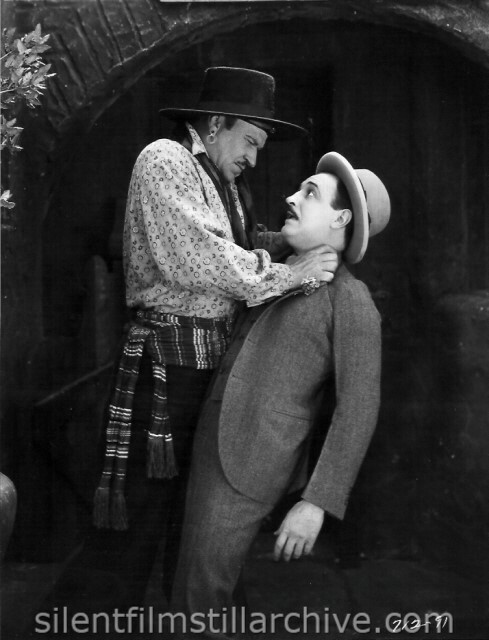 Wallace Beery and Raymond Griffith. 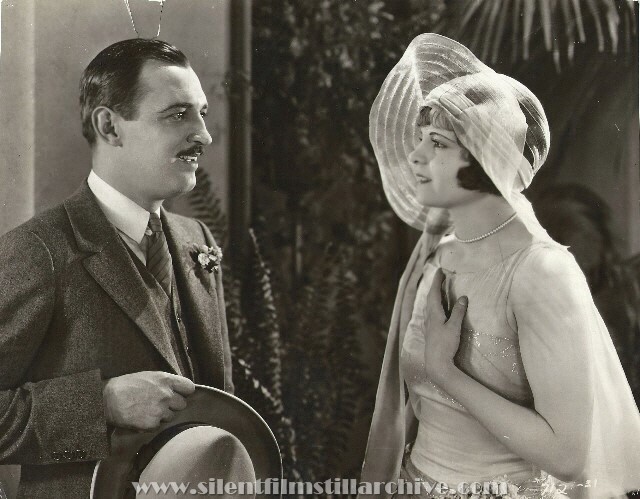 Postcard: Vera Reynolds and Raymond Griffith in "The Night Club" A Paramount Production. 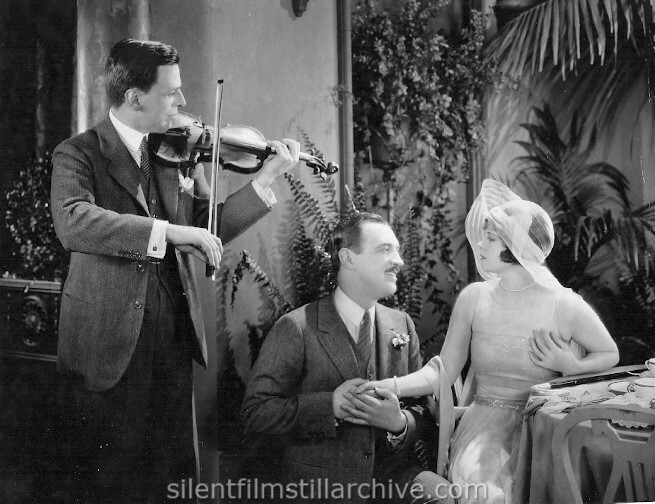 Caption: Albert Spalding (left), noted violinist, is providing "emoting" music while Raymond Griffith and Very Reynolds rehearse a love scene. The photo was taken on "The Night Club" set recently while Spalding was visiting the Paramount studio in Hollywood. This photo is stamped Apr 16, 1925, which is the day that it was received by the newspaper. Raymond Griffith, one of the funny men of the screen, discovers that courtship in Spain has its difficulties. The scene is from "The Night Club" his latest Paramount picture. 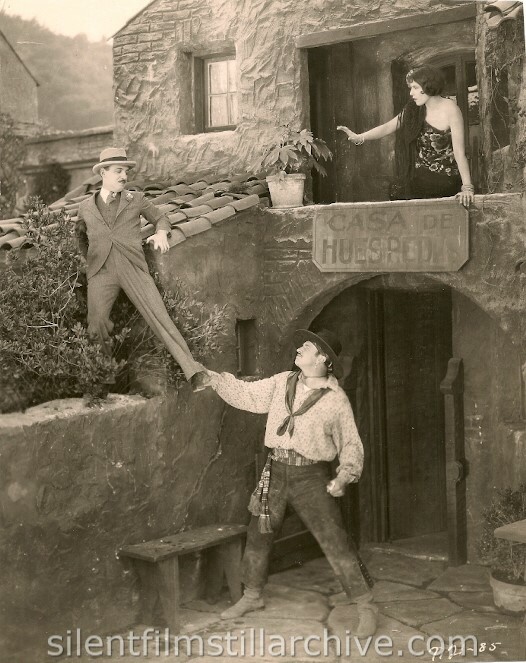 Wallace Beery and Louise Fazenda are the other persons in the scene. Wallace Beery is demonstrating to Vera Reynolds that he really does know how to make a very romantic proposal. The photo was taken between scenes of Paramount's "The Night Club" in which they are featured players. Raymond Griffith gets the girl of his dreams, Vera Reynolds, in "The Night Club", his latest Paramount picture. Griffith is to be starred as a comedian by Famous Players-Lasky Corporation. (The back of this photo is stamped Apr 9, 1925). with Raymond Griffith, Vera Reynolds, Wallace Beery, and Louise Fazenda. Directed by Paul Urson and Paul Iribe. Paramount-Lasky.